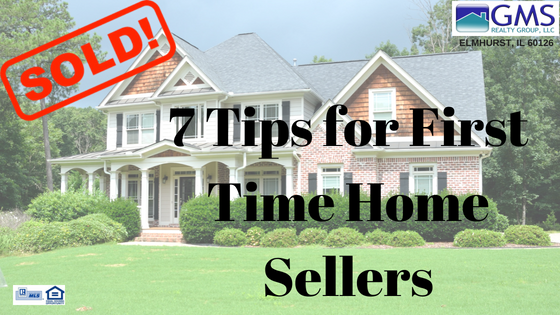 7 Tips for First Time Home Sellers. If you thought being a first time home buyer can be an overwhelming situation, being a first time home seller can be even more nerve-racking. Although this can be true; with the help of one of our Realtors & a game plan at hand, you have not a single thing to worry about! 1) Price your home realistically from the beginning. No matter how great your home is, giving it the wrong price can harm your financial goals tremendously. When it comes to pricing your home, you’re better off with hiring a Realtor. Today’s buyers are pickier and have more tools at hand when searching for a property & a Realtor will help you be knowledgeable of your local real estate market. Although it is important to hire an expert, hiring a Realtor is just like shopping; browse through your options & don’t let the fear of saying no get you less than what you’d be happy with. After all, you’re putting your most valuable asset on their hands. 2) Know what your closing expenses will be. Most of the time first time sellers are unaware of the expenses that the sale of their home will incur. A good Realtor should be giving you the run-down of most common (but not limited to) expenses-such as transfer taxes, attorney fees, marketing fees, buyer’s brokerage fee, title expenses, credits at closing, etc. Understanding this from the beginning will save you many disappointments as it will provide with a better (approximate) idea of how much money you will be putting in your pocket or have to go shopping for your next home with. 3) What’s your next move going to be? Don’t get so into the sale of your home that you neglect knowing what your next move is going to be after your current home sells. It is important to plan ahead & know whether you’ll be renting, purchasing, or even building a new home. This process can be tricky so it is always good to have a game-plan to count on & keep in mind that not knowing what your next move will be can potentially delay the sale of your home(in case you have to request for any extension dates). 4) Make arrangements for moving . Start making arrangements for moving as soon as you can; not only will this save you time when the moving day arrives, but it can also help you put away belongings that could possibly be blocking the way or overcrowding your home. Lining up movers, renting temporary storage space, getting moving supplies or even packing up those winter coats that you won’t be needing right now can go a long way when time is of essence & it all is happening at a high speed. Ask your agent for tips on how to make your home feel and look more appealing to potential buyers. Buyers nowadays are very visual & having too much clutter can deceive them from seeing the true value that homes can posses. This is the prime scenario where less is more & doing so will also help you to become aware of any fixes or upgrades you might want to make before buyers start arriving. The best way to sell your home is to let buyers tour the property with their agent solely, so that they can feel free to comment or discuss about it among them. Put yourself on their shoes, and be understanding that we all have busy lives, with busy schedules. Providing buyers with a flexible schedule for showings will increase the odds of selling your home quickly as it brings the most possible traffic in. Responding promptly to a purchase offer is not only considerate of buyers’ time, but most importantly helps you get one step closer to achieving your real estate goal. Sorting through offers and responding promptly will help you to stay on track with any moving schedule & buying plans; this will also help you have an idea of what you’re dealing with while selling your home & give you time counteroffer if need be. Call us today at 630-881-1667 & let's make your real estate goals become a reality. Don't just list it and let it sit pretty on the MLS, let's get it sold!